Comfort seat features highly resilient commercial grade urethane foam of 2.6 pounds per cubic foot density designed to meet the highest quality standards and to offer maximum comfort. Standard Swivel: All Trica swivel stools have a 360° full ball bearing and commercial grade powder coated swivel mechanism. 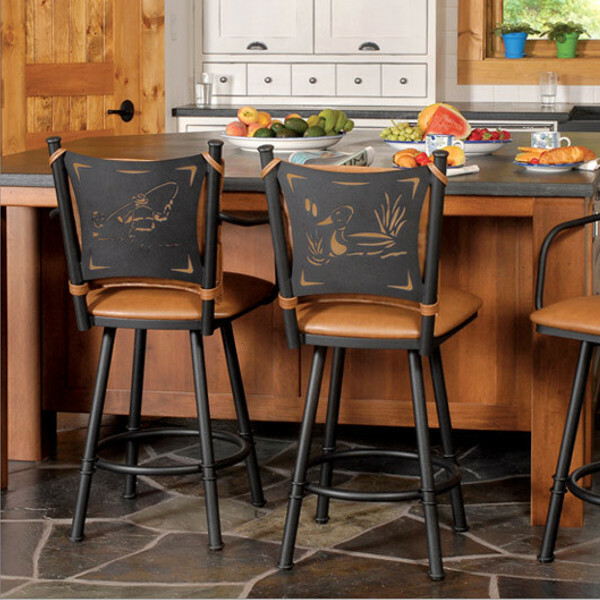 A swivel makes it easier to get on and off the bar stool. Memory swivel: A memory swivel rotates 180 degrees and it returns the bar stool seat to its original position. 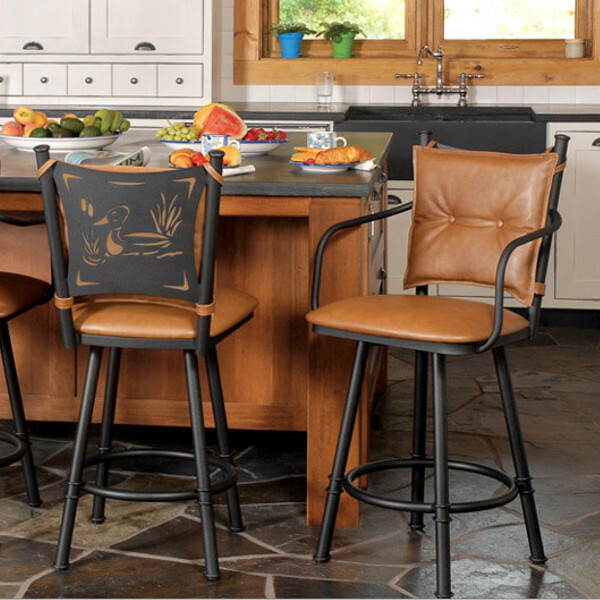 With a memory swivel, your stools are always aligned with your counter. All foams meet the flammability requirements of the California Bureau of Home Furnishings Technical Bulletin 117. All Trica products are custom made; actual shapes, colors, and finishes may vary slightly from those shown. Trica requires a signature on all deliveries. Residential application warranty is 1 years on metal structure and 1 year on fabric. Commercial application warranty is 1 year on metal structure and 1 year on fabric. Please Note: If commercial application is not chosen, chairs used in a commercial setting will only have a 3-day warranty. Note:This is a special-order item. As such, orders for this item cannot be cancelled once placed. To ensure your satisfaction, please call us with any questions you have prior to ordering. Note:This quality item is custom made for your order. Unfortunately, this means that orders cannot be cancelled or returned once placed, so please call our trained staff with any questions you may have prior to ordering - we will ensure that you get exactly what you need.